Innovation is born of curious minds. Get your team out of the office for a day of creative stimulation. Curiosity Fieldtrips are designed to insight curiosity and activate creativity, by guiding teams through experiences that prioritize intellectual stimulation, and sensory experience. 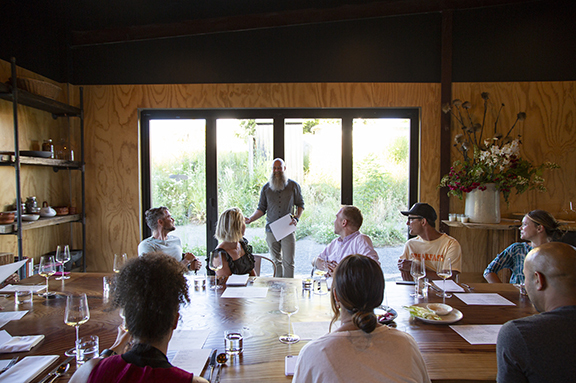 From wine and food tastings with experimental chefs, to studio and gallery visits— exploratory hikes and outdoor excursions to hands-on craft sessions: Fieldtrips can be stand-alone experiences, or can be built into Communication by Design workshops, or Listening Sessions. Consider these outings as self-care for the creative mind.